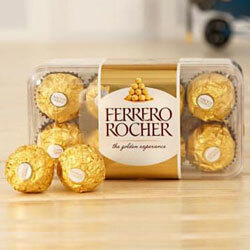 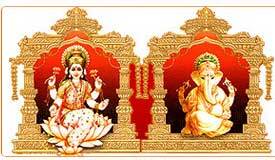 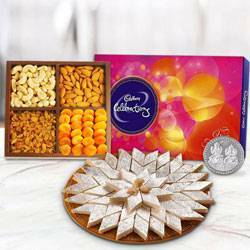 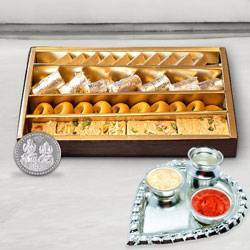 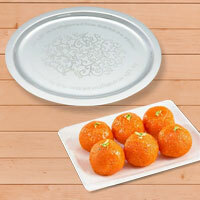 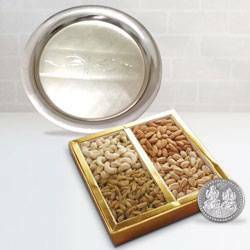 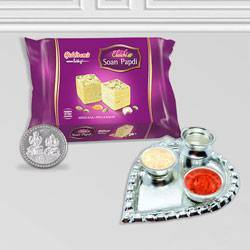 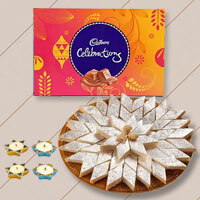 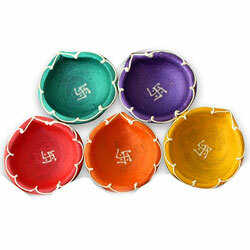 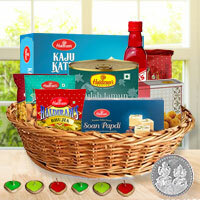 Gift this Gorgeous Diwali Celebration Gift Hamper to keep your beloved smiling and happy. 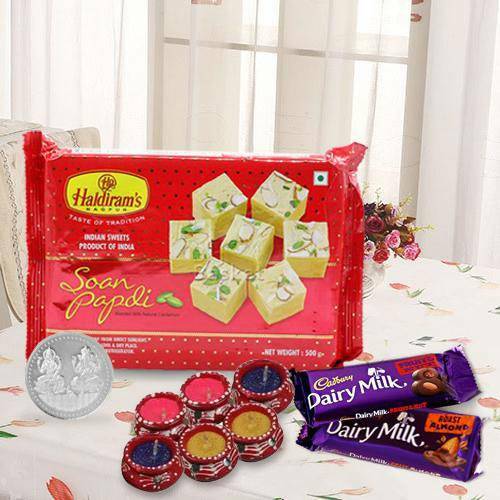 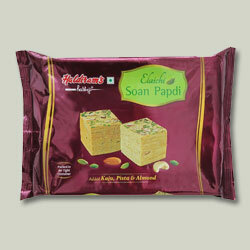 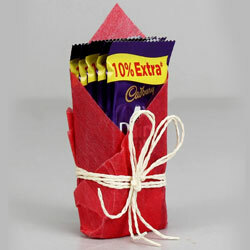 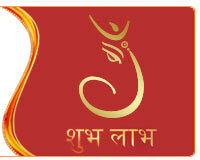 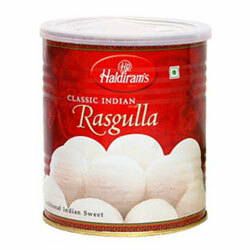 This delicious and memorable Gift Hamper to express your gratitude is laden with a Pack of Haldirams Soan Papdi (250 Gm. 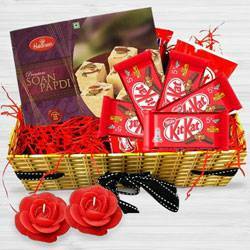 ), a Pack of Cadbury Dairy Milk Fruit and Nut Chocolates, a Pack of Cadbury Dairy Milk Roast Almond Chocolates and 6 Wax Diyas.